Organic SEO services can encompass all aspects and strategies you may use to improve search engine optimization without paid advertising, such as Google Pay-Per-Click. Generally, there are two halves to this, onsite SEO and offsite SEO. While there’s an increasing emphasis on everything offsite – link building, social media and the rest – onsite SEO is still at the core of operations for any effective organic SEO services firm. To improve search engine optimization within your website itself, organic SEO services include keyword inclusion and content optimization, site structure and internal linking, and much more. It’s about aligning your website with the market you’re going after, enabling it to be found by the prospects and future customers that you crave. 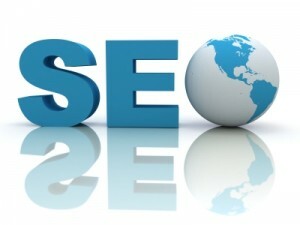 At Washington DC SEO, we provide a wide range of affordable, high quality organic SEO services. With the right research and analysis, nearly any website can make huge strides simply by improving upon what they already have. And when you’re building a new website or platform from scratch, starting your efforts with appropriate onsite optimization and development will give you a huge leg up on the competition. Any SEO services firm which solely recommends PPC or link building, without first turning attention towards onsite organic SEO services, is missing the boat. Contact us today by filling out the form on the sidebar and we’ll show you how we can improve your onsite search engine optimization.